Established as a trading post by Gabriel Godfroy, a French-Canadian fur trader from Montreal, Ypsilanti sits at the intersection of the Huron River and the old historic Sauk Trail which connects Detroit with Chicago and is now called U.S. 12. Located on the east side of the Huron River, Godfroy's trading post became a permanent settlement in 1823 and was known as Woodruff's Grove. 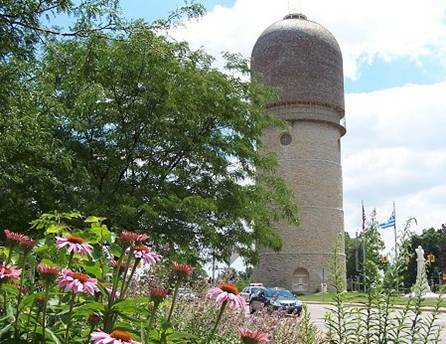 Not too far away, on the west side of the river, another settlement was founded in 1825 and named after the Greek hero who fought for his country's independence-Demetrius Ypsilanti (a bust of Ypsilanti can be seen at the historic Ypsilanti Water Tower. 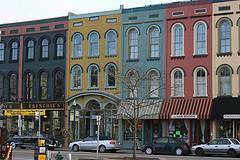 This city, which has the third largest historic district in the state, played a major role in the state's burgeoning auto industry in the early part of the 1900s. 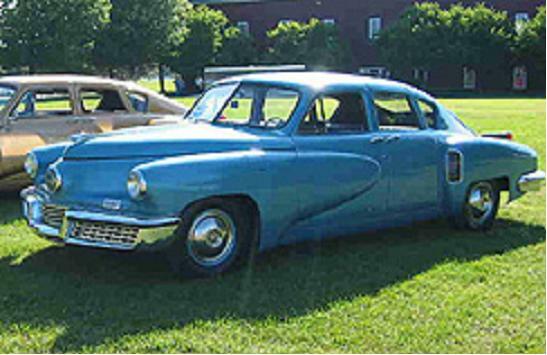 From 1920-1922, Apex Motors produced their "ACE" car and years later Preston Tucker, whose family owned the Ypsilanti Machine Tool Company, designed and built the prototypes for his "Tucker Torpedo" automobile. Tucker's story was later made famous when Jeff Bridges played him in the movie "Tucker: The Man and His Dream" which was directed by George Lucas, who also directed the Star Wars films. But the end of Tucker's dream wasn't the end of Ypsilanti's car history. In 1945, Henry J. Kaiser and Joseph W. Frazer bought Ypsilanti's Willow Run B-24 bomber plant and began making Kaiser and Frazer model cars two years later. The last Kaiser automobile rolled off the assembly line in 1953 when the company merged with Willys-Overland and transferred manufacturing to Toledo, Ohio. Interestingly, even today Ypsilanti is unique in the auto industry and is the setting for the last Hudson car dealership in the country in what is now the Ypsilanti Automotive Heritage Collection where features an original Hudson Hornet.